A little publicized legal opinion that addresses commanders’ rights to mention God at change of command and promotion ceremonies, issued by the Air Force judge advocate general in December, is now drawing protests and praise. The opinion, dated Dec. 19, addresses whether commanders who invoke a deity at their official change of command ceremony, and also at the promotion ceremony that often follows a change of command, violate the 1st Amendment’s Establishment Clause and Air Force Instruction 1-1. “We conclude a commander may: briefly thank a Supreme Being (either generally, such as Providence, that Almighty Being, our Lord, or the Supreme Author of All Good; or specifically, such as Allah, Brahman, Christ, Ganesh, God, Yahweh, or even Beelzebub); have an invocation, and choose whomever he or she would like to provide the invocation,” the opinion states. The opinion was provided to Air Force Times by Mikey Weinstein, founder and president of the Military Religious Freedom Foundation. A spokesman for the Air Force confirmed that it is authentic. Read the Air Force JAG opinion. The foundation is objecting to the Air Force JAG’s interpretation of the law and Air Force regulations and has asked the U.S. Commission on Civil Rights to hold a hearing on the foundation’s concerns and overrule the opinion. The JAG’s legal opinion contradicts the Supreme Court ruling, Air Force precedent and the Air Force instruction, Weinstein argues. Mike Berry, director of military affairs for First Liberty Institute, a national religious liberty organization that has represented numerous service members and veterans, disagrees. “This looks like a desperate attempt by Mikey Weinstein to reverse good religious liberty law and policy,” Berry said. "The [U.S. Commission on Civil Rights] should not grant Weinstein’s inappropriate demands to harass the Air Force because of an internal policy memo that simply applies the Constitution and Supreme Court precedent to the Air Force. 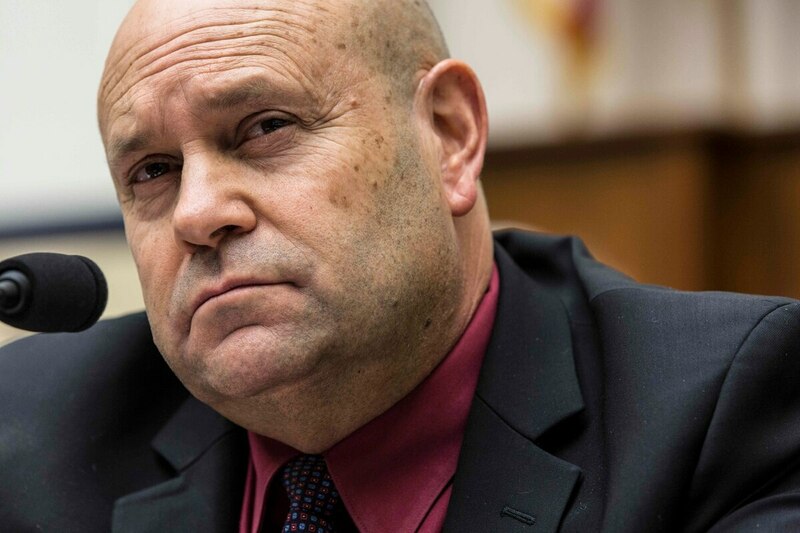 “At a time when our military needs more religious freedom, we can count on Mikey Weinstein to be the first to complain when the Air Force does something right,” he said. Weinstein also takes issue with the idea that by waiting at least 10 minutes between a change of command and a promotion ceremony, the latter becomes a personal, rather than official, event. “To suggest that the promotion ceremony, which symbolizes an officer’s promotion in grade to the Air Force community, is somehow “unofficial” ignores the obvious fact that his or her promotion is the result of state action on multiple levels,” he wrote. It is unclear whether the U.S. Commission on Civil Rights will grant MRFF’s request for a hearing.